By Liam McEvoy | December 14, 2010. Dublin’s footballers will be hoping to build on this season’s encouraging run to the All Ireland semi-finals when they start their 2011 campaign. The season started poorly with Dublin losing their Leinster Championship crown after being hammered by bitter rivals Meath in the Leinster semi-final. However; this proved to be the kick start needed for their season. Pat Gilroy used the qualifiers as an opportunity to change his team and fine tune the game plan he felt would get the best out of his players. Between their exit from the Leinster Championship and the defeat to Cork, Gilroy made six changes to his team as well as another four positional changes. He also changed the style of football, making Dublin a team who were tough to break down with a brilliant defence which conceded very few frees within in scoring range. Eoghan O’Gara was introduced at full forward to work as a foil for the superb Bernard Brogan. O’Gara was used mainly as a target man, to cause mayhem in the full forward line and win the ball for Brogan to put over the bar. 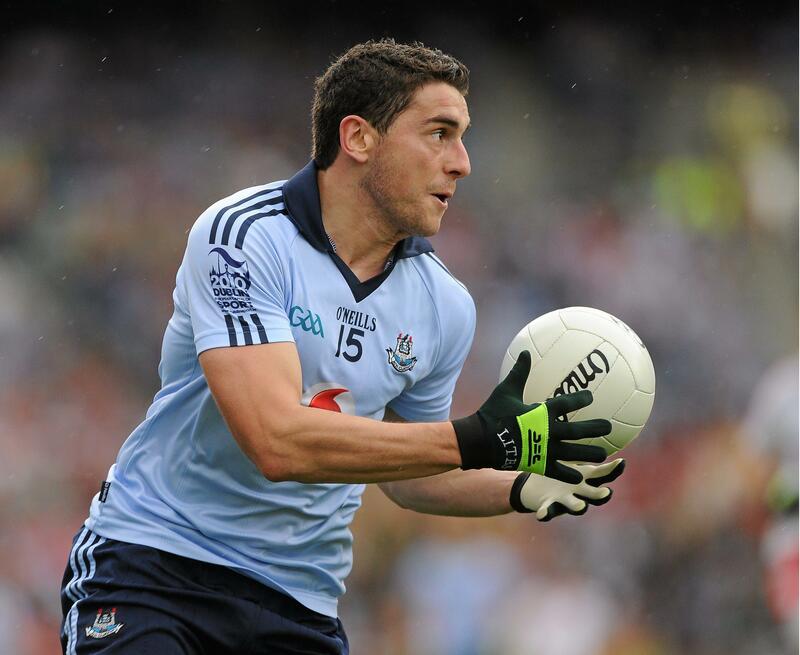 Bernard Brogan had his best season so far, finishing second in the top scoring charts behind Johnny Doyle of Kildare, and winning the GAA and GPA Footballer of the Year awards. He is hoping that the experience of this year’s defeat to Cork will help to drive the team on to achieve their goal of winning the Sam Maguire Cup for the first time since 1995. He believes they can learn from the Cork team who finally won the All Ireland this year having come up short a number of times in the last decade. “They’d been there, they’d done it before. It was a big game for us and a lot of young lads on the panel, and we hadn’t been in that position before, a lot of us,” he said of their semi final defeat to Cork. “Games like that come down to luck and the bounce of a ball. But the way I look on it, we left it behind. But then we can take a lot from the season. We beat Kerry during the league. We beat Tyrone in the championship. We beat Armagh. We were that close to Cork, so we’ve nothing to be afraid of next year,” continued Brogan. Although there are plenty of positives for Dublin to take from this year’s progress, there is still a lot of work to be done if Dublin are to make it to Croke Park next Saturday with a serious chance of lifting Sam. This year’s campaign was built on a strong defence who kept the opposition out and a free scoring Brogan. However; next season he is unlikely to get the same freedom. “That just goes with it. If you’ve a good year, next year you’re man-marked or double-marked or whatever way a team have a plan to stop you,” he admitted. If Brogan is contained then it is difficult to see where Dublin’s scores will come from. Of the forward who started against Cork, besides Bernard Brogan, only his brother Alan would be considered as a scoring forward. David Henry and Bryan Cullen have played the majority of their intercounty football in the backs. Eoghan O’Gara is useful as a ball winner and although he is a hard worker he is not the most talented footballer or a natural scorer. If Dublin are to improve they will have to hope some of their young forwards step up to the mark and deliver. 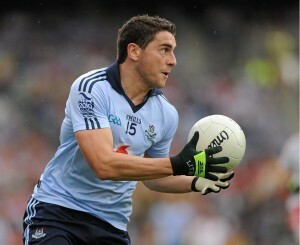 Bernard Brogan may be footballer of the year, but even he will not be able to carry Dublin again next summer.